Allegations of child abuse should be taken seriously. But many charges are brought with little evidence, sometimes based on only the word of one other person. Child Protective investigators with the Florida Department of Children and Families take an aggressive approach to gathering evidence and securing witness statements. False allegations are common, especially when one parent wants to secure an unfair advantage in a pending or anticipated child custody action. In Leon County, FL, and many other counties throughout North Florida’s Big Bend area, child protective investigators and detectives will seek to prosecute the crime if any mark is left on the child from any discipline or punishment other than a swat to the buttocks. When parents are prosecuted for acts intended to discipline the child, special care must be taken to protect the parent from an unfair and overly aggressive prosecution. Charges can also be brought against a teacher or child care provider. Once you learn you or a loved one is the target of a false allegation of child abuse, never speak to any law enforcement officer or child protective investigator. Instead, invoke your right to remain silent until you have spoken to an experienced criminal defense attorney. Contact an attorney at Pumphrey Law and find out more about what you might need to do today to protect yourself and your family against a false allegation of child abuse. Pumphrey Law represents men and women charged with false or exaggerated allegations of child abuse throughout Tallahassee in Leon County and the surrounding areas of North Florida including Crawfordville in Wakulla County, Monticello in Jefferson County, Quincy in Gadsden County and Bristol in Liberty County. Call (850) 681-7777 to schedule a free consultation. What is Considered Child Abuse and Child Neglect? Depending on the circumstances of a child abuse charge, law enforcement officials may think they have enough evidence to make an arrest. In Florida, the charges could be either misdemeanors or felonies, depending on the situation involved with the domestic violence charge. Child neglect, however, is different from child abuse. A person can be charged with child neglect if he or she fails to make a reasonable effort to protect a child from being abused, neglected or exploited by another person. A person also can be charged with child neglect if he or she does not provide the child with the proper care, supervision and services that are necessary for a child’s physical and mental wellbeing. For example, if a child is malnourished or living in a filthy home, a caregiver or guardian could be charged with neglect. Under this statute, the term “deadly weapon” includes any weapon used or threatened to use in a way likely to cause great bodily harm or death. Depending on the circumstances, a person also could face weapons charges. In most cases, child abuse is considered a third-degree felony. For instance, if a person intentionally abuses a child without causing any serious injury, he or she can be charged with a third-degree felony. If convicted, a person could face up to five years in prison, a $5,000 fine or both. However, child abuse charges can be upgraded to a first-degree felony, depending on the circumstances surrounding the case. If a person intentionally tortures, imprisons, abuses or maliciously punishes a child and causes serious bodily harm, permanent disability or disfigurement, he or she could be found guilty of aggravated child abuse. This is a first-degree felony that is punishable by up to 30 years in prison, a $10,000 fine or both. Child neglect charges are a little different and so are the penalties. If a person’s child neglect does not lead to any great bodily harm, permanent disability or disfigurement, the person can be charged with a third-degree felony. This is punishable by up to 5 years behind bars, a fine of up to $5,000 or both. If the neglect causes great bodily harm, permanent disability or disfigurement to a child, a person could be found guilty of a second-degree felony. An offense under this classification can lead to up to 15 years in prison, a $10,000 fine or both. When it is alleged the child has been abused, neglected or abandoned by the parents, legal guardian or legal custodians, then the child may be declared to be a “dependent child.” In fact, the child can be declared to be dependent if it is alleged that a “substantial risk” exists for the child to be the victim of abuse or neglect by the parent or legal guardian. After the child has been removed from the home, the Department of Children and Families takes temporary custody of the child. The DCF should notify you of the initial court date. You also should verify any court dates through the Clerk of Court’s Office located at 301 S. Monroe St., Suite 100, Tallahassee, FL. You must provide proper identification to prove you are in fact the child’s legal parent or guardian. Third parties, including grandparents, aunts or uncles, often are prevented from obtaining any information about the child from the clerk’s office. The Children’s Home Society provides in-home marriage enrichment education and relationship skills to adoptive parents both before and after the adoption process begins to help with a smooth transition of new children into the home. Provides pre-marital education, parenting and relationship skills for engaged couples, new parents and students at FSU. The Live the Life program provides relationship and parenting skills to parents and couples in Florida. Find a list of volunteer opportunities through the Big Bend areas of North Florida that help reduce incidents of child abuse and provide services to promote healthy families in our communities. Stay connected with information important to criminal justice professional interested in preventing child abuse and defending those against overly aggressive prosecutions. 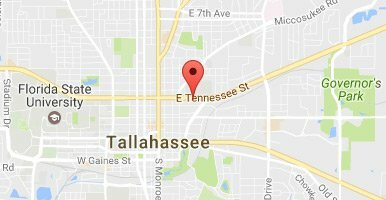 The North Central Division of Children’s Home Society opened its office in Tallahassee in 1964 and provides services throughout the Big Bend region. Facing child abuse charges can be an intimidating process. The Tallahassee criminal lawyers at Pumphrey Law can help you fight the charges and get the best possible outcome in your case. They understand the sensitive situation you are in, and they know your family is important. Contact Pumphrey Law at (850) 681-7777 for a free consultation.